Hamas denies allegation by Egypt's former president Mubarak that it infiltrated hundreds of men across the border during 2011 uprising. Gaza's Hamas terrorist rulers on Saturday denied an allegation by Egypt's former president Hosni Mubarak that the group infiltrated hundreds of men across the border during the 2011 uprising, AFP reports. Mubarak earlier this week took to the witness stand in a Cairo court in the trial of his successor, Mohammed Morsi, which centers on jailbreaks allegedly orchestrated by Morsi and members of the Muslim Brotherhood. Mubarak claimed in his testimony he had received information at the time from his intelligence chief on infiltration by terrorists from Gaza to the country's east during the uprising. "General Omar Suleiman informed me on January 29 (2011) that 800 armed militants infiltrated through the border," he said, adding that Hamas members, assisted by North Sinai residents, used underground tunnels to cross. Hamas said in a statement on Saturday that it "strongly denies the claims made by Egypt's ousted president Mohammed Hosni Mubarak during his testimony in court". "Mubarak claimed that Hamas sent 800 members to Cairo in order to release Palestinian, Egyptian, and Arab prisoners from the Egyptian jails," it said, according to AFP. 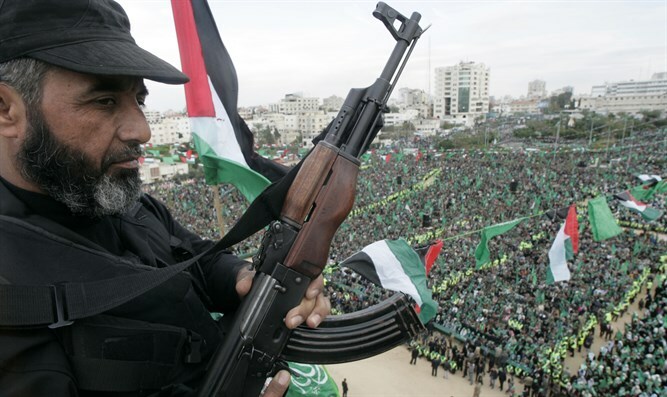 "While Hamas deplores some parties' insistence to embroil the Palestinian movement into Egypt's internal affairs, it reiterates its commitment to its policy of not intervening in the internal affairs of other countries," added the group.